There aren’t many artists in South Africa that embody a pure authentic/artistic energy that stems from deep down one’s soul and exerts itself in the form presented. There aren’t many artists in South Africa that have reached a higher state of heritage consciousness that glows when exposed willingly. Why is that we wonder? Perhaps there really is such a thing as a pre-destined path because some artists have theatrical worthy narratives that many others dream they could embed upon themselves. There’s no shame in saying that in some times seems so surreal when SA births out certain individuals that go against the highly followed path to create their own paths and one artists that has clearly been paving her own route to glory is none-other than Maya Wegerif, whom you probably know as Sho Madjozi. Her story is such a special one, a “ from Limpopo to the world’ type of story, that has found her recently being announced as the brand ambassador of the newly launched TRACE Mobile during a press conference that took place about a week ago at the iconic Ponte Tower in central Johannesburg. 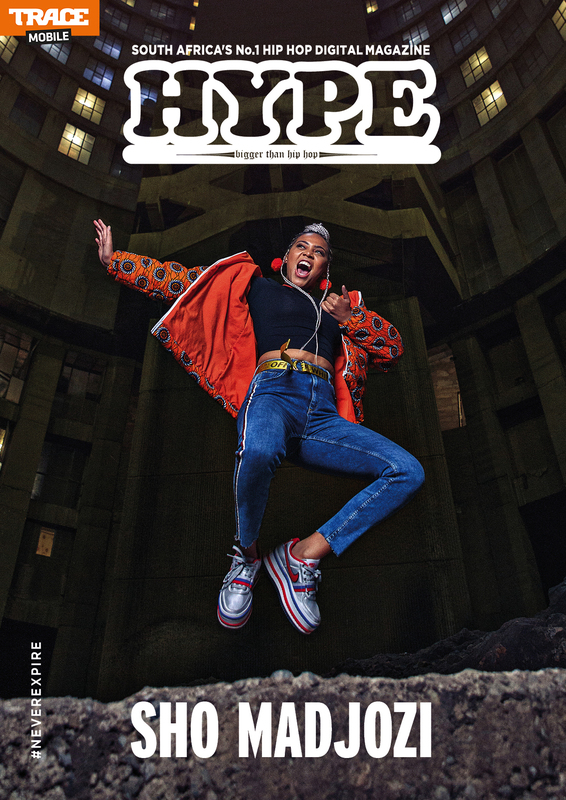 #NeverExpire is the campaign messaging, which truly also highlights Sho Madjozi’s timeless & boundless nature. And we really have to admit that your career has been booming since you got into the scene with your music. When was the last time you actually took a moment to reflect back on how far you’ve come as an artist? How does it feel to be at this level? I do that all the time. I still can’t believe people vibe with our movement as much as they do. I saw a video recently of me rapping in Braam early last year. It was one of my first shows and there weren’t more than 30 people in the room. This past weekend I performed for several thousand people. It’s quite crazy. That’s crazy… And we don’t know if many people know that you were and still are really a passionate poet. How much does MayaThePoet influence Sho Madjozi’s creativity or brand? I don’t think those are different people. I’m just good at writing in many different styles. Word. In a short space of time we’ve seen your growth exceed expectations and now you’ve become an ambassador of TRACE Mobile. How does this recognition and responsibility make you view yourself today? Because this is crazy. Being the ambassador for TRACE Mobile has made me really believe in myself. For so long we didn’t get recognition from big brands. I feel like TRACE is coming in as the underdog who has our back and is trying to put us on to some dope lifestyle things. How or when did the conversations with TRACE Mobile even begin and why do you think this partnership makes so much sense? The collaboration couldn’t be more perfect. I am a phone person. I am a person who marketed myself using my phone and social media. Now I am someone who is played on TRACE TV quite a lot. It combines my two main interests into one, cool, disruptive brand. Then would you say that Sho Madjozi is internationally more recognized than local? We ask this because rare artists that create unique music tend to only get the love they deserve after international recognition (eg. AFROPUNK, Fader etc). Na. People in Limpopo love Sho Madjozi, people in Soweto and Tembisa and Alex love Sho Madjozi. I think it’s important to be loved at home. I would feel very sad if people abroad were showing me love but the people from my hometown weren’t feeling me. We feel you… Back to TRACE Mobile, what would you say makes this new TRACE Mobile #NEVEREXPIRE energy such a progressive one? Well we’ve had the same brands dominate this field for the longest time. Now we have a new network which doesn’t just bring data that never expires, it gives young people discounts on fashion, food and nightlife. It brings amazing competitions to win trips abroad and it brings amazing content like live streaming TRACE television stations and watch series on your phone. Interesting… Do you remember the first time you saw your music video on TRACE? What was that moment like? The first time I appeared on TRACE was on track I was actually featured on. I couldn’t believe it. We are the ones making content now and I want the TRACE Mobile app to become a platform for other young people to also share content that will eventually be shown on TRACE tv. Let’s end things off by embracing that you’re clearly still going to be doing greater things and this TRACE Mobile launch is testament to that. What you like to say to all your fans that have been supporting you all this time and what can we look forward to from this new partnership you have with TRACE? I want to give a massive shoutout to the Champions (my supporters). I want to empower us young people, because we know what’s hot. I want to give spaces and opportunities to young people who subscribe to TRACE Mobile to follow their dreams and their talents.